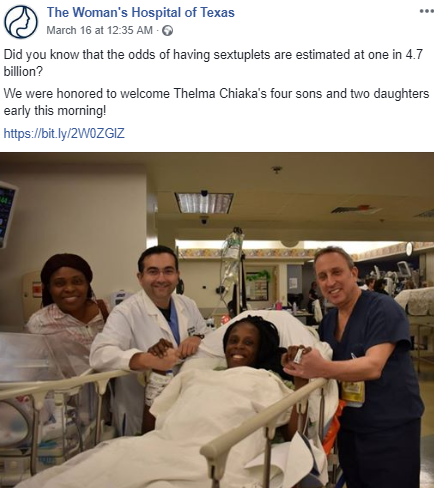 A Nigerian woman Thelma Chiaka has given birth to sextuplets in under 10 minutes in Houston, Texas. 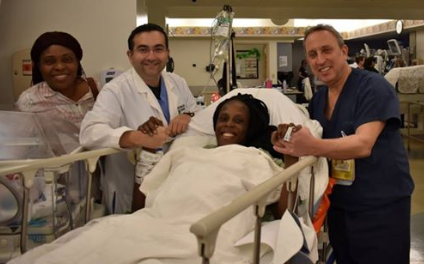 She welcomed four boys and two girls at The Woman’s Hospital of Texas. According to the hospital, each of the babies are in a stable condition and will continue to be supervised in the advanced neonatal intensive care unit. The mother is also doing well. 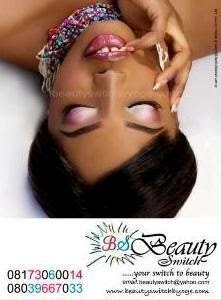 Awww..... Congratulations! God bless them all.